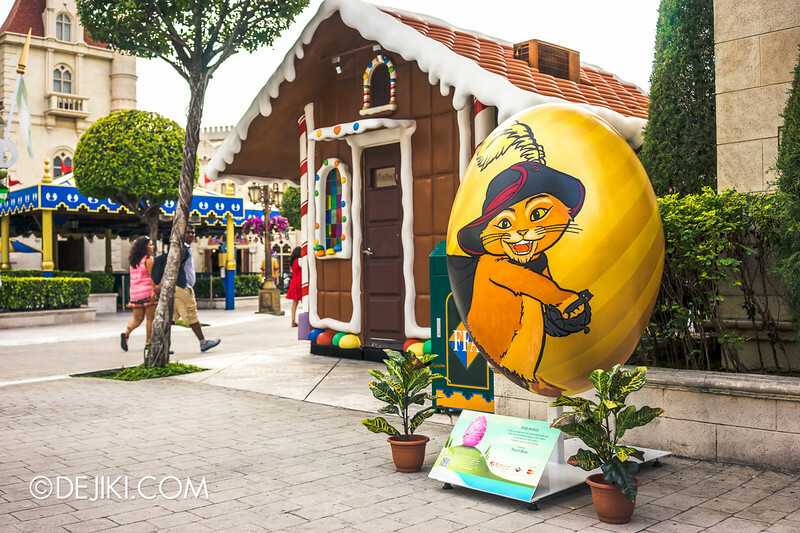 It’s the last week to catch Easter Egg Island at Universal Studios Singapore! 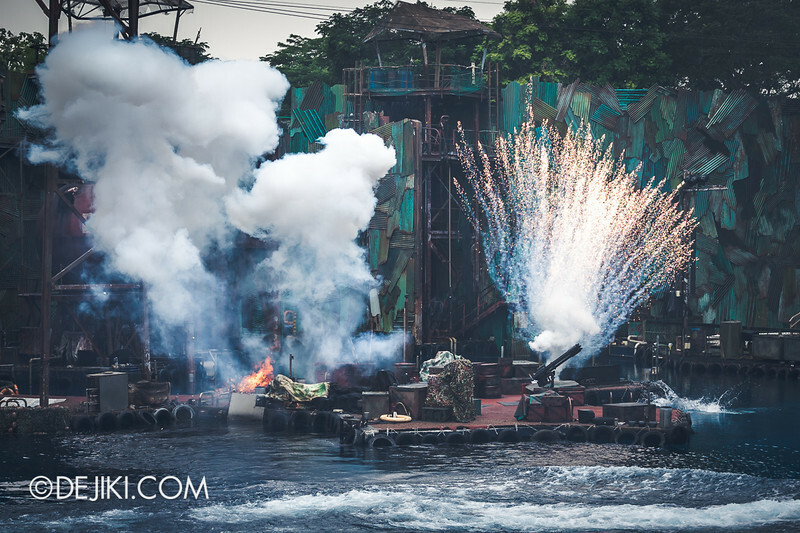 Find out more in this month’s park update. 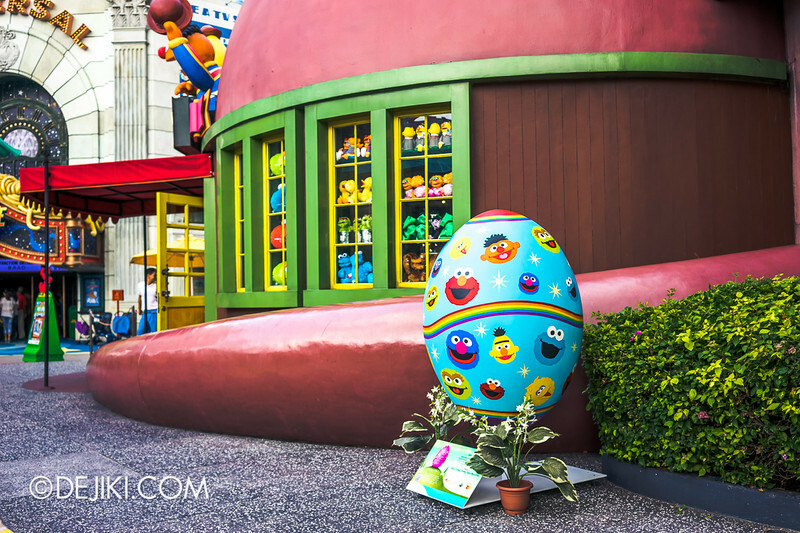 Seven giant easter eggs have arrived at the park over the Easter weekend. 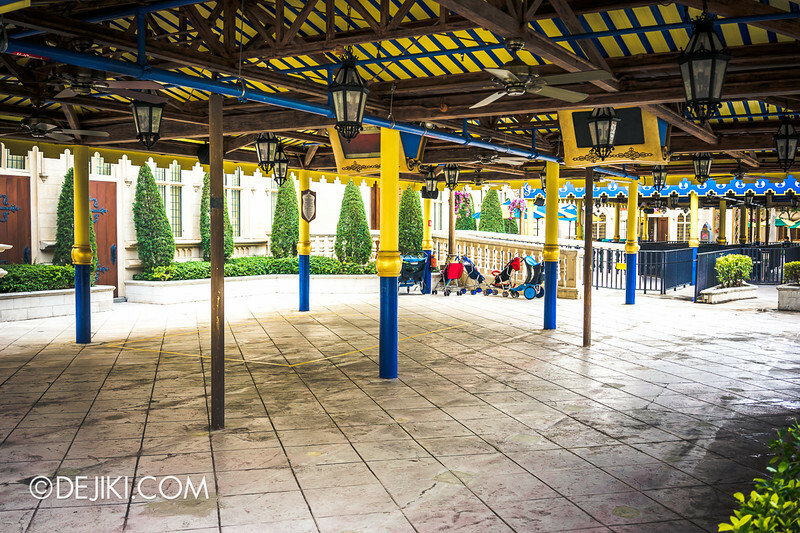 Every zone in the park’s got one, except for Ancient Egypt. 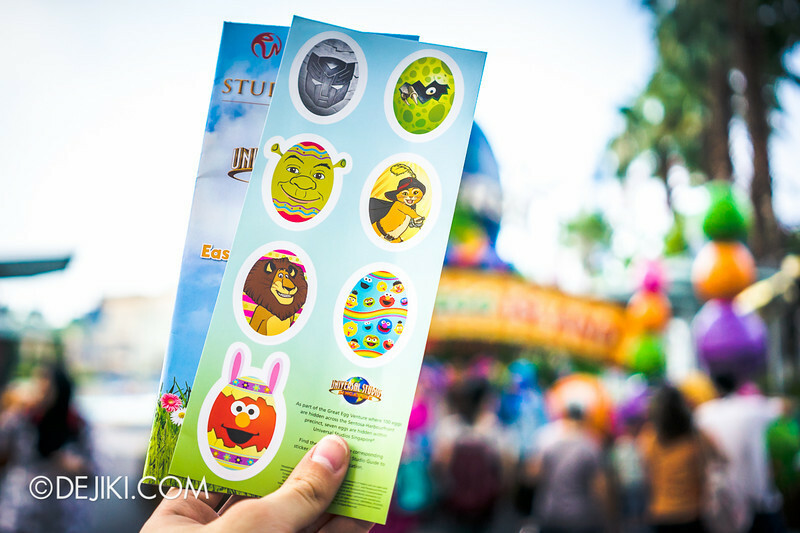 Stickers are included as an insert for this season’s Park Guides. 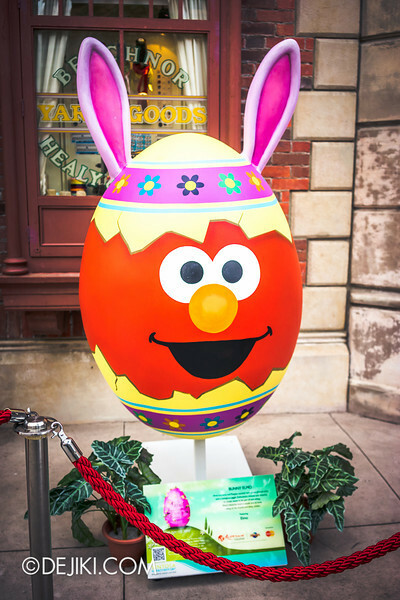 There are empty spaces on the park map for guests to take part in a self-guided Great Egg Venture. Puss in Boots at Far Far Away. 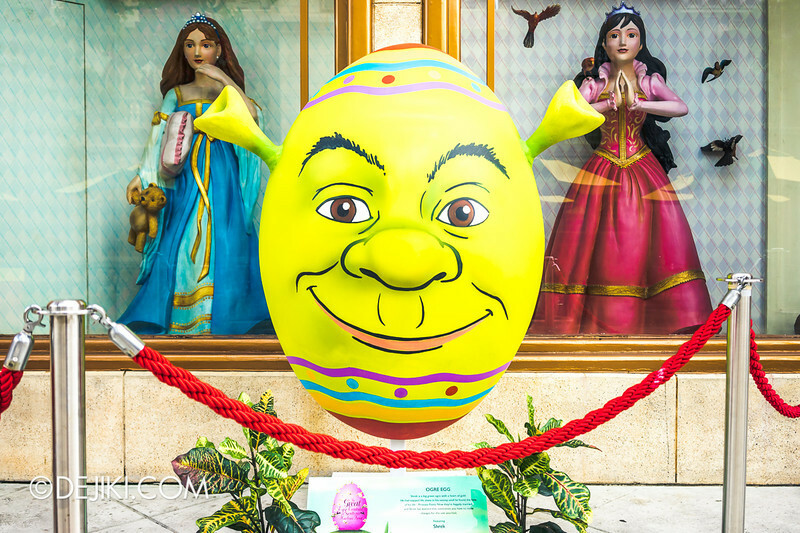 Shrek at Far Far Away, next to the entrance to Donkey Live. 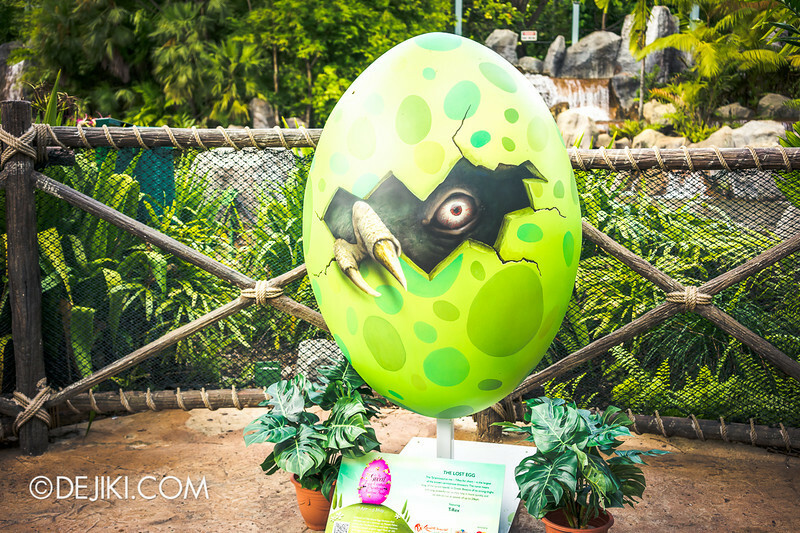 The T-Rex egg is located at The Lost World / Jurassic Park – photo’s at the top of this entry. The egg can be found near the Raptor Nest section (across Amber Rock Climb). 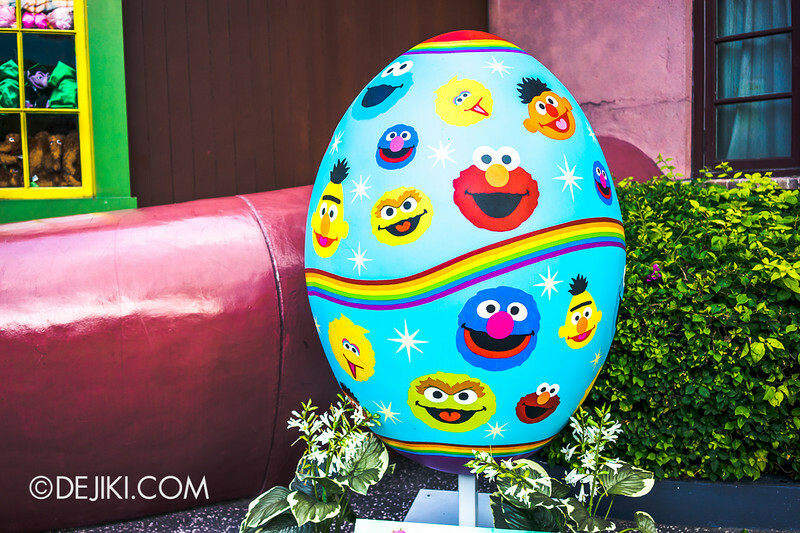 Sunny Side Up, featuring Sesame Street characters. This is placed in between The Brown Derby and Pantages Hollywood Theater. Bunny Elmo in the middle of New York (near Rockafellas’ street stage). 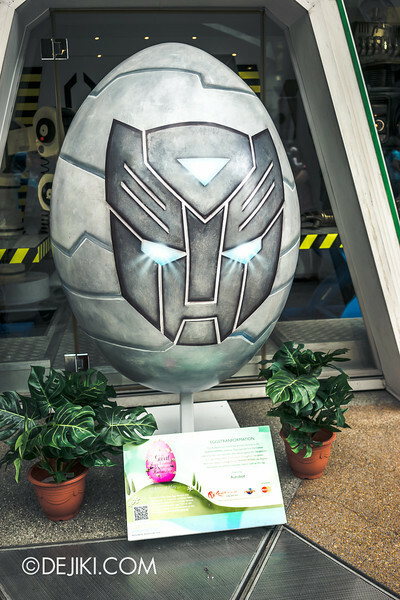 A metallic Autobots egg, just across Transformers Supply Vault. 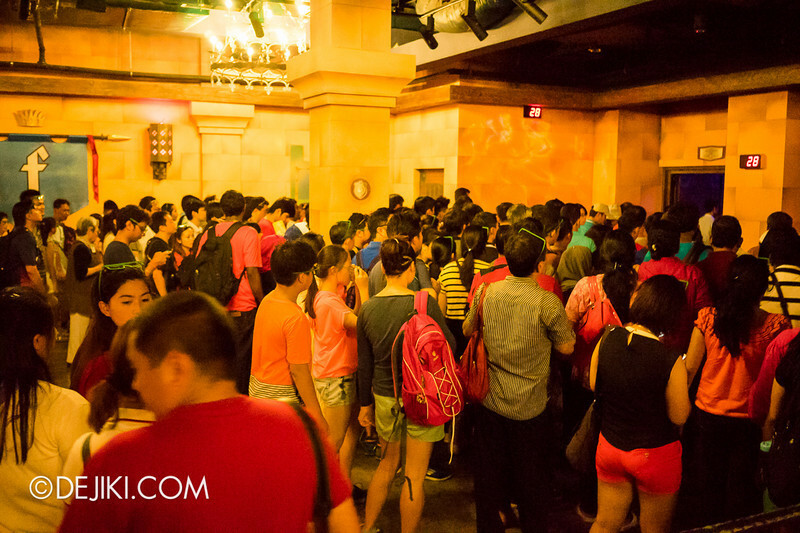 The park has decided not to build Despicable Me: Minion Mayhem in USS (for now? forever? ); bringing back Battlestar Galactica is their top priority. The “Family Attraction” sign, which disappeared for a while, has returned. 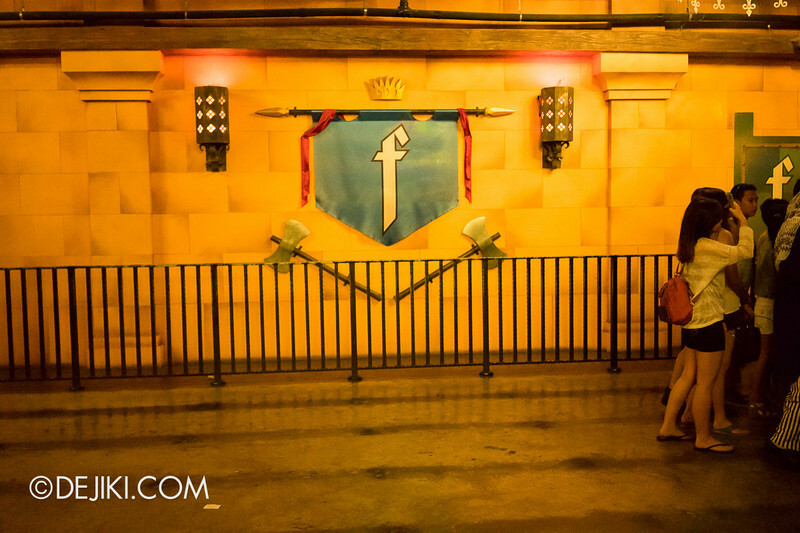 One of the outdoor queue switchbacks at Shrek 4D has been completely dismantled. And so did some sections for the indoor queue. It’s now just a large “pen” which undoubtedly reduces load-time for the pre-show significantly. See those lines on the ground? I’m not sure when this happened, but the main screen, “Dungeon Cam”, at the pre-show is now shown in high frame-rate. Possibly 48fps. 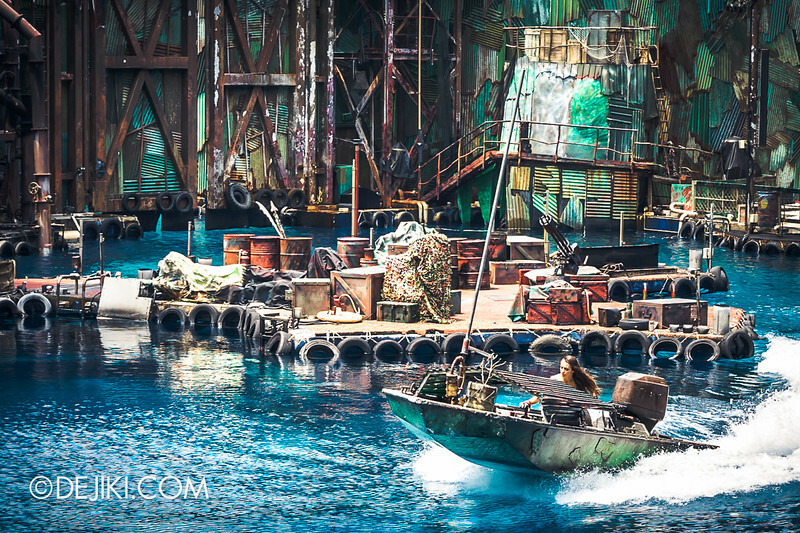 And now, enjoy some photos of Waterworld. Apart from the Easter Egg Island special characters, some of the park’s regular characters have special costumes for this season. Here are the lovely Mel Dinettes – with bunny ears! 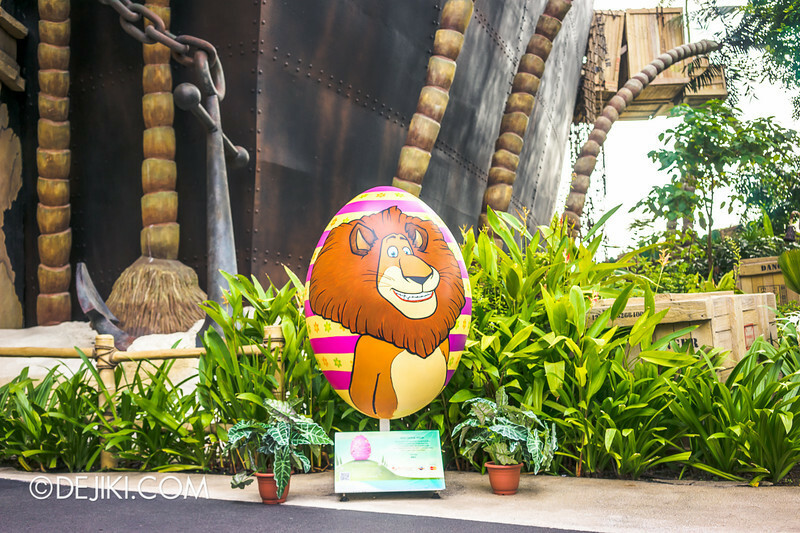 This would be the last week to experience Universal Studios Singapore’s Easter Egg Island, as the seasonal event ends on 13th May 2014. Wow Snow White and Sleeping Beauty look repainted! Is that true? Great! May I know what day and what time do the Mel Dinettes/ Cruisers/Daddy O’s come out for the phototaking session with parkgoers? Thanks! 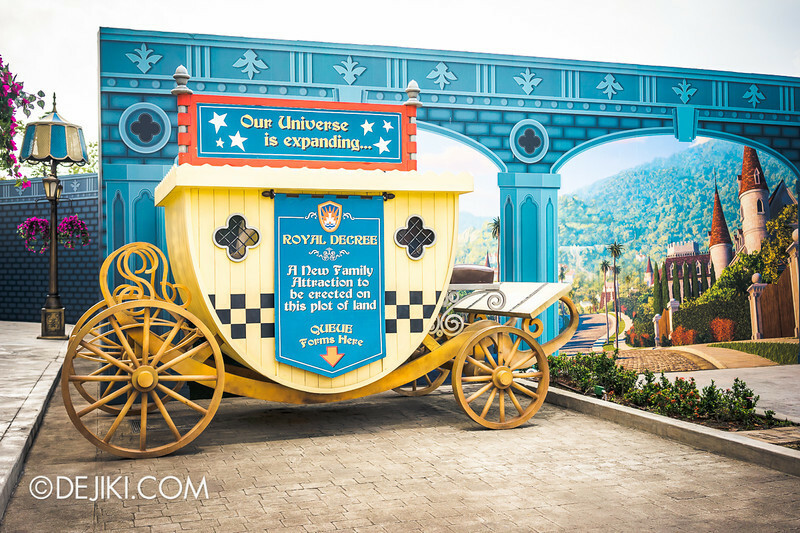 By the way, best USS blog ever! 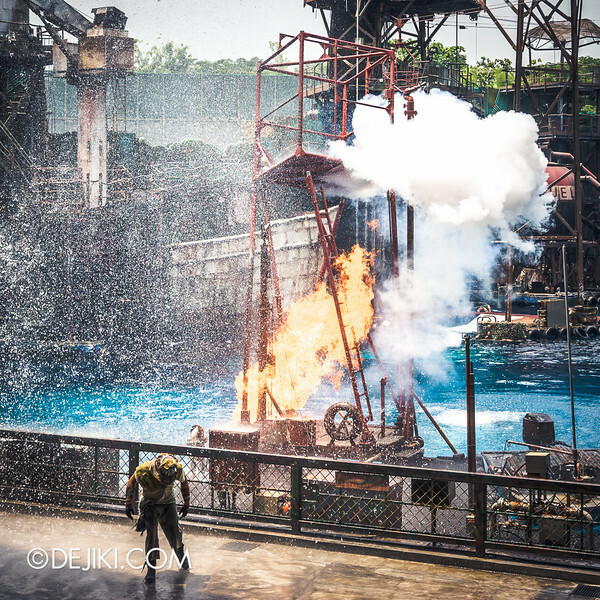 Hi Dejiki, is there any HHN 2014 update yet? 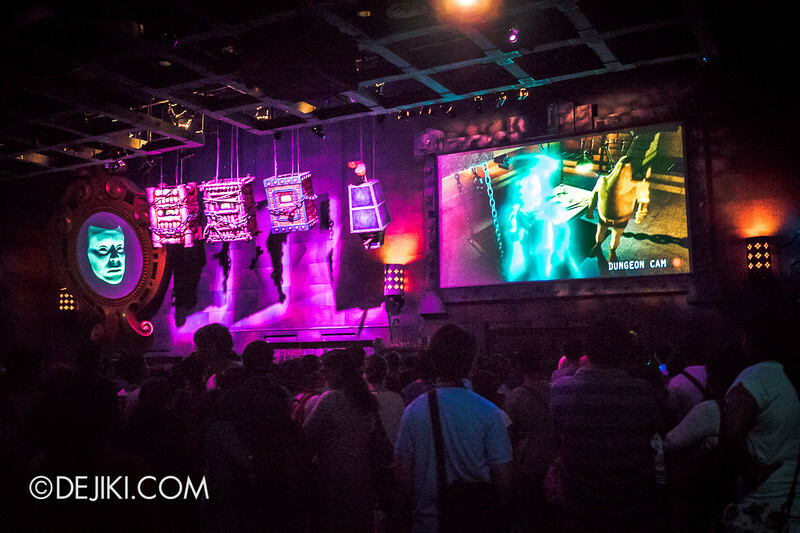 I can’t wait for the next HHN 2014 update from your blog. 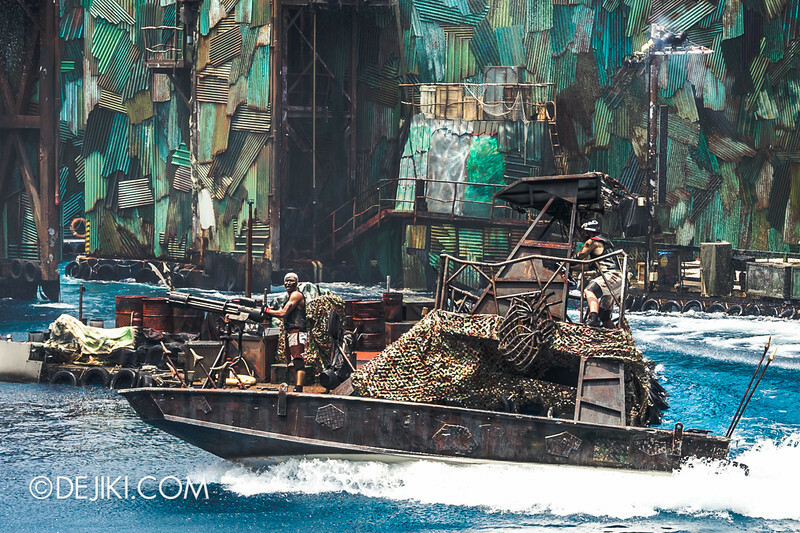 What an amazing coverage of USS. I am from Malaysia and wish to purchase the One Day Pass and Google it online. Just wish to ask for your opinion : it is safe to purchase the entry ticket from this third party? Are they authorized reseller and provide legit ticket? Any catch of the perks offers? 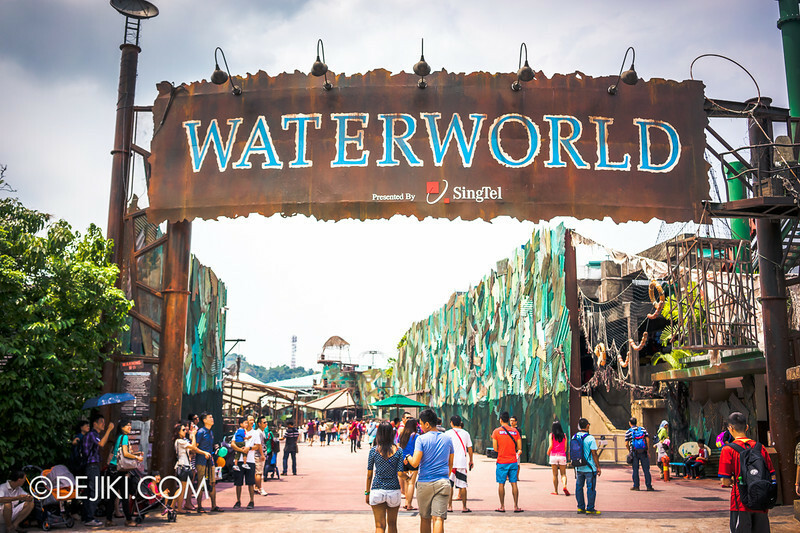 We will rather purchase the genuine tickets through RWS rather than taken up any risk of being reject at the entry gate. Awaiting your advice… Many thanks! 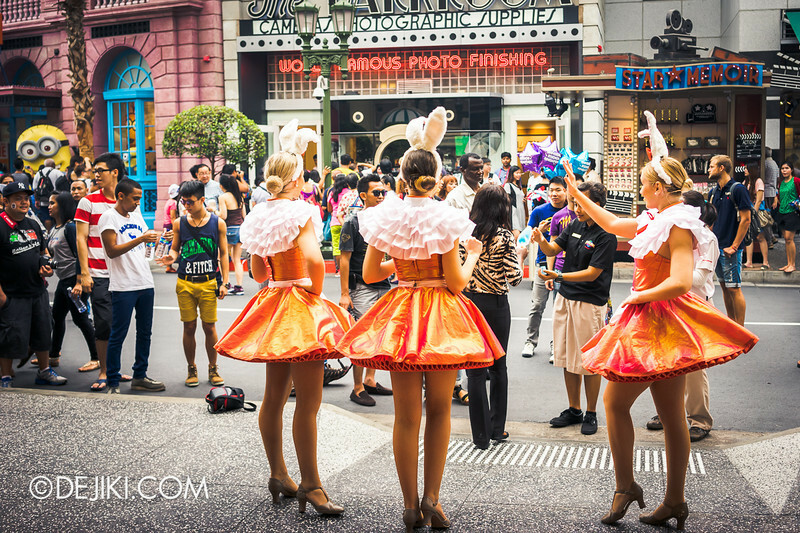 I would suggest that you purchase them from a reputable agency, with a physical location, so that you may inspect the park tickets or redemption vouchers. 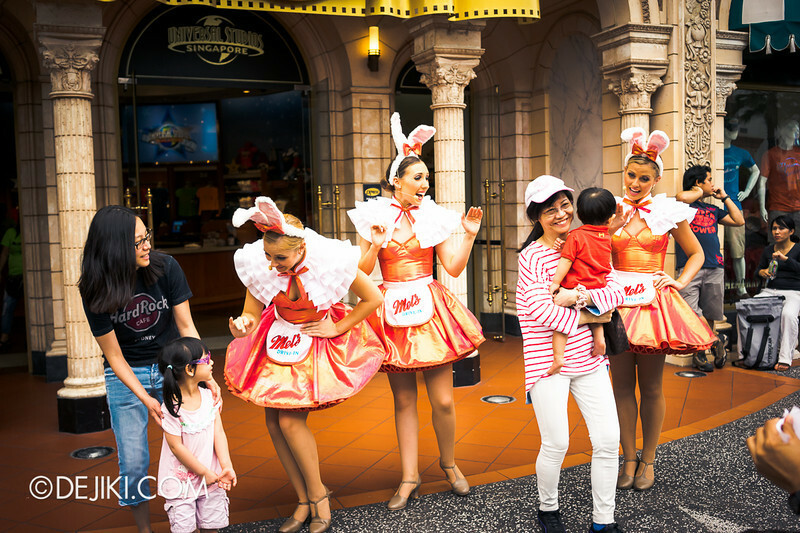 RWS would recommend that you buy directly from them to ensure authenticity.